Latest Movie Reviews, News, Facts, Quotes, Mistakes, Trailers & News! Never Before Seen Harry Potter Movie Mistake! 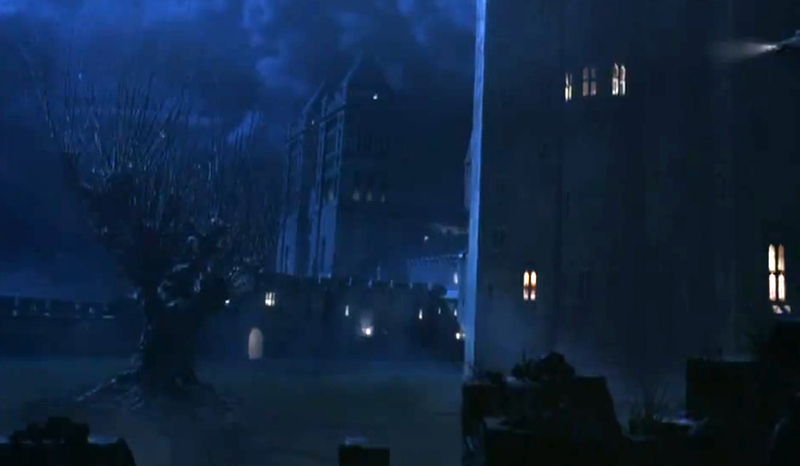 In the scene in The Chamber Of Secrets, with the Whomping Willow, where the blue Ford Anglia crash lands into the tree, the tree bashes the car with Harry, Ron and Hedwig inside and causes several smashes and cracks in the windscreen. As the car crashes to the floor, falling out of the tree, the car bounces against the ground, and then the camera cuts to a close-up of the car, showing the inside of the car and the back window with the gaping hole. However, the front windscreen should have had a constant light on the window and on the actors, but it doesn’t. No light is on, causing everything to be dark for a second or two, until someone finally has the light turn on…creating a weird flickering light from an unknown light source in the world of Harry Potter. Maybe Harry or Ron secretly used the Lumos spell. Either that, or the crew member blatantly holding up Hedwig, in the back, cast it. It sort of feels that you are doing any unique trick. Furthermore, The contents are masterpiece. Hi there, you mentioned about this website being written by your cousin. I can promise you that it’s not. Thank you for your comment too. I’m not sure what your difficulty is, I’m afraid, but all I can say is enjoy reading this blog and I hope you are well. You are very welcome. It’s an amazing post for all the online viewers; they will obtain advantage from it I am sure. Hello! I could have sworn I’ve been to this site before but after reading through some of the post I realized it’s new to me. my own. Do you need any coding expertise to make your own blog? I’m glad that you simply shared this helpful info with us. Please stay us up to date like this. Thank you for sharing. this coincidence did not came about earlier! I bookmarked it. I think this is among the most important info for me. And i am glad studying your article. It’s not my first time to go to see this site, i am visiting this web site dailly and get good information from here all the time. After exploring a few of the blog posts on your site, I really appreciate your way of blogging. website too and let me know what you think. Why users still make use of to read news papers when in this technological globe all is available on net? Great post. I was checking continuously this blog and I’m impressed! Extremely useful information specially the remaining section 🙂 I care for such information a lot. I used to be seeking this certain info for a long time. Thanks and good luck. include approximately all important infos. I’d like to see more posts like this . I really like your technique of blogging. I saved as a favorite it to my bookmark site list and will be checking back soon. Please check out my website as well and let me know your opinion. Useful information. Lucky me I discovered your web site by accident, and I’m surprised why this accident did not happened earlier! I bookmarked it. blog so I can share my own experience and feelings online. Thank you very much. I will look into adding a donation button. It’s something I hadn’t really thought of. Thabk you and thanks for sharing this blog with your facebook group! Excellent write-up. I absolutely love this site.Keep writing! after looking at some of the articles I realized it’s new to me. and I’ll be book-marking it and checking back frequently! Thank you very much! It’s great to meet you!